For the love of performing arts. Fading lights. Unique characters. Intense subjects. Discerning audience. The art of being someone else on stage. If you are a performing artist in a theater or are still learning the art or have anything to do with a theater group, you would know what we are talking about here. 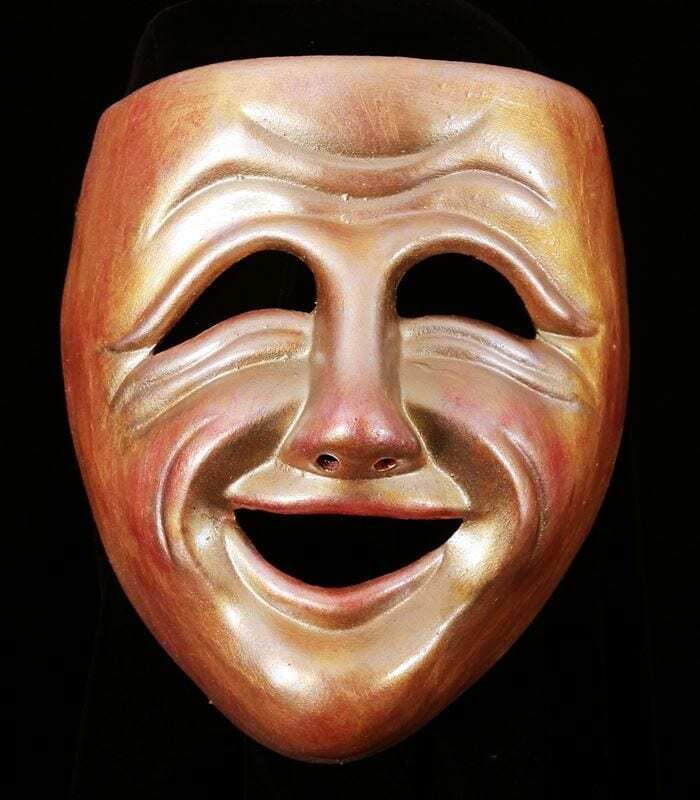 Our decorative comedy & tragedy masks help you in your efforts of turning your home into a small theater of sorts or make a theater look the part. Our decorative comedy & tragedy masks serve a completely different purpose than their wearable counterparts. These masks are explicitly made to lend your theater, home, or any other space the look of a performing art studio or theater. 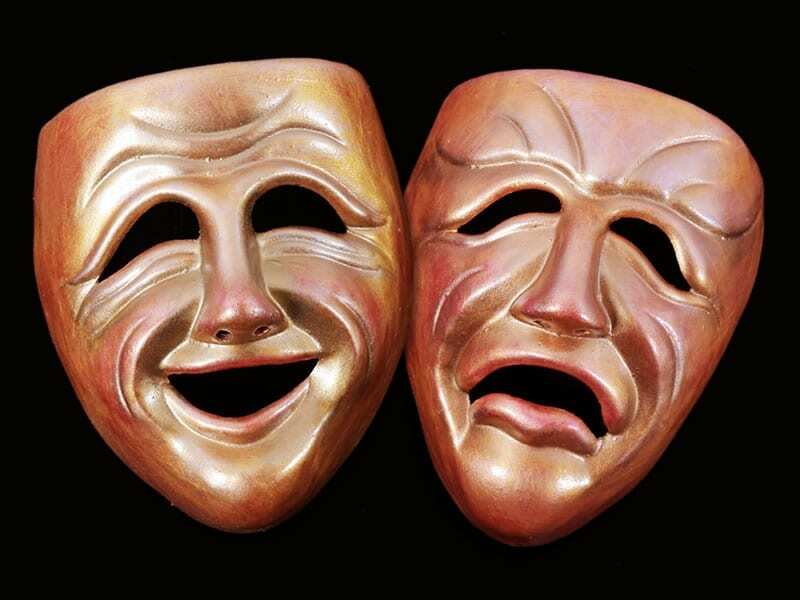 Sock and Buskin, the symbols of comedy and tragedy, and the emotions that these masks feature have long been used to display contrasting emotions in every way possible. Our decorative comedy-tragedy masks do the same. 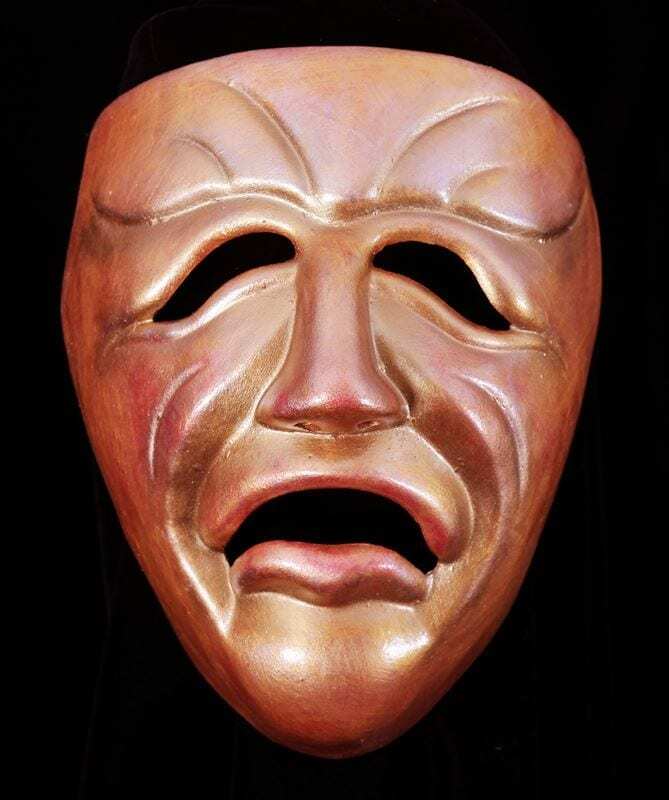 If you want a pair of these comedy & tragedy masks for your home or theater, Contact Jonathan.